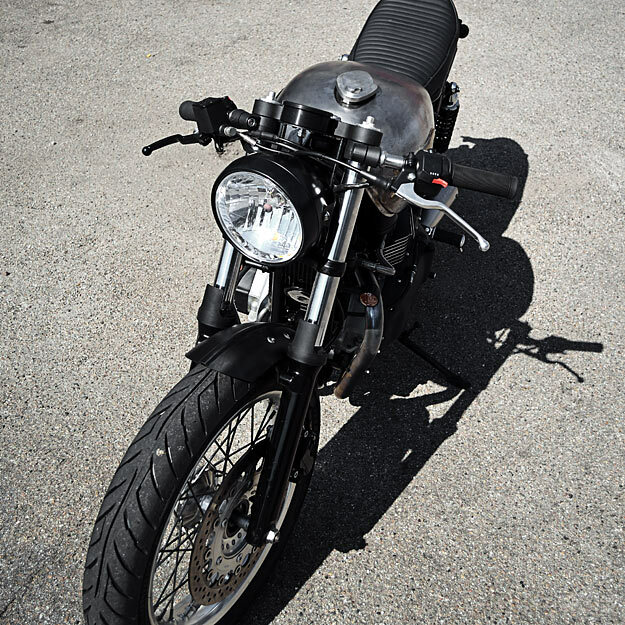 To match the new lines, the tank from an old Kawasaki Z750B was installed, and left unpainted. A new seat unit was built, along with a new battery box to tidy up the original wiring and relays. 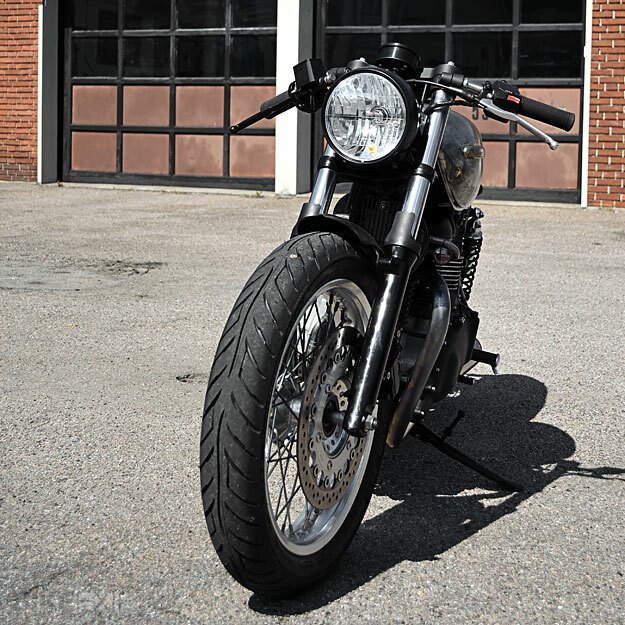 The front end was cleaned up with classic Tarozzi clip-ons and a single Motogadget dial. 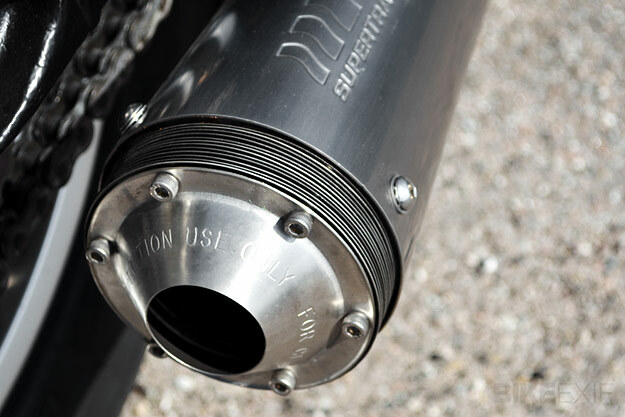 The headlight brackets are one-offs, and support a new 6.5” deep old-school headlight. 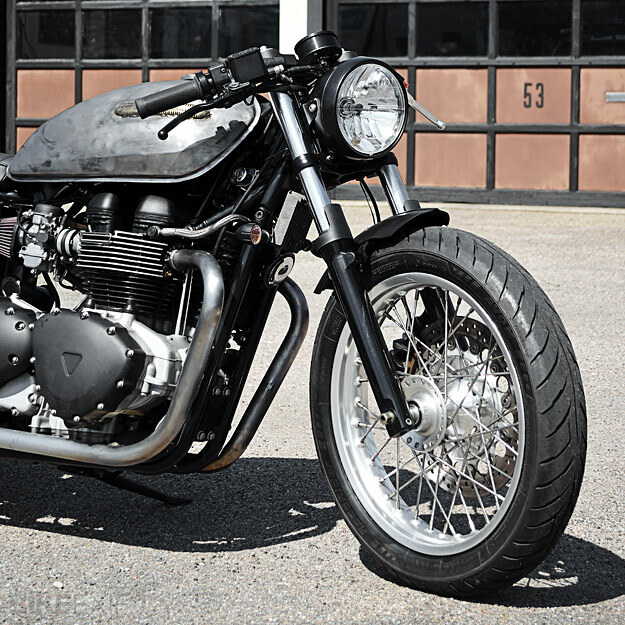 I’m quite partial to the stock Triumph Thruxton, and thought it’d be hard to improve upon. 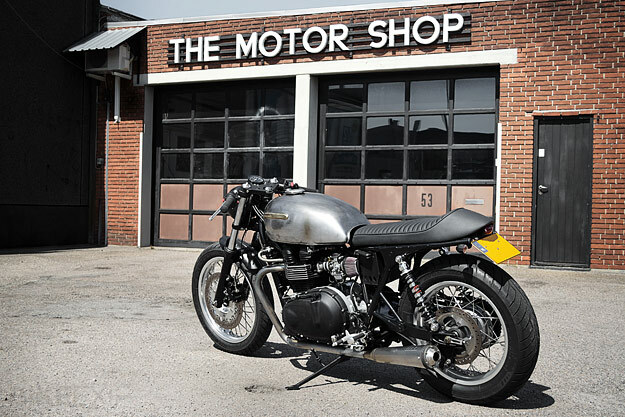 But once again, the Wrenchmonkees have elevated a familiar motorcycle to a whole new level. 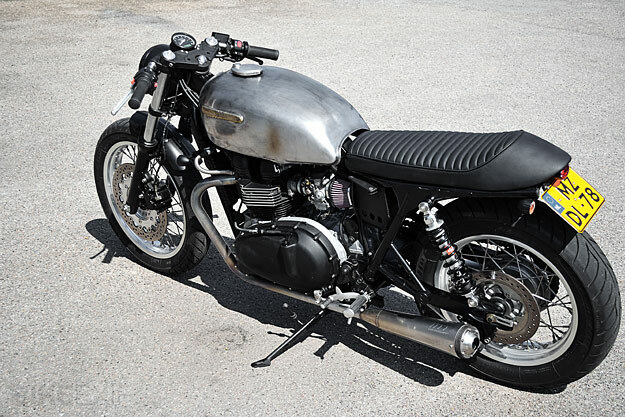 For a different take on the same bike, check out this Triumph Thruxton from Mr Martini.